For the last two weeks we have been travelling slowly South from Brisbane towards Sydney, meandering between the coast and the inland rain forest. We have also been alternating between (very) commercial camp sites (mostly on the coast) and fairly basic ones in the National Parks. 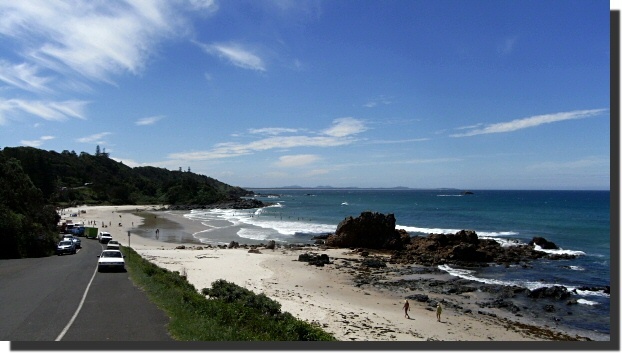 An example of a commercial camp site is this one at Flynn's Beach, Port Macquarie.. 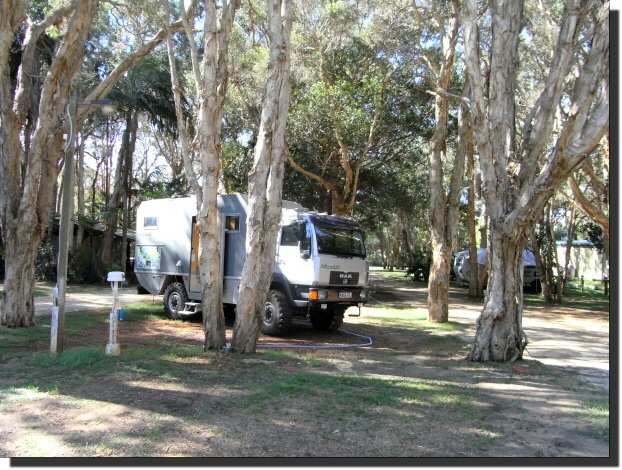 Cost $25 Australian (17.00) per vehicle per night, with water, electricity and a small swimming pool. Distance to nearest shop about 200 metres. Distance to beach about 500 metres. Other motorhomes, caravans and static caravans (huts) about 100. 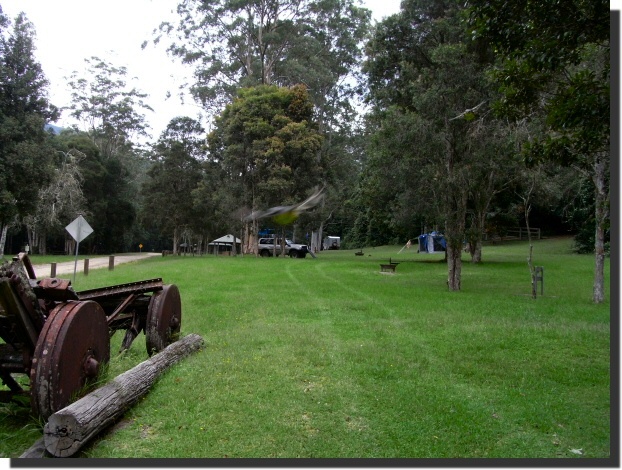 Most commercial camp sites give you codes or keys for access to the toilet block, showers and main gate. 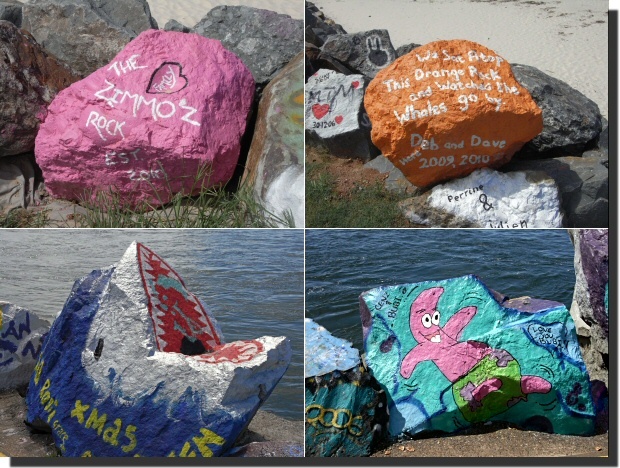 Port Macquarie has some nice walks, good beaches and lots of painted rocks by the harbour, but the town centre is a bit down market. 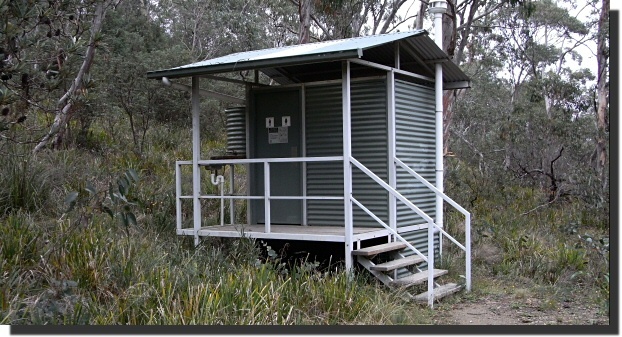 Cost $10 Australian (6.60) per person per night, with no water, no electricity and no swimming pool. 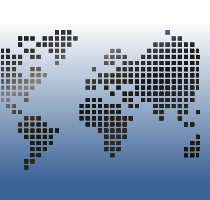 Distance to nearest shop about 15km. Other motorhomes, caravans and static caravans (huts) about 1. (You deposit your payment in an honesty box). 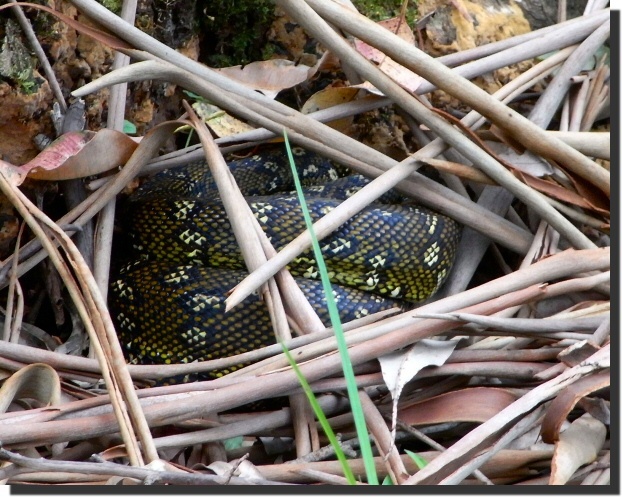 ..and a sleeping carpet python(? ).